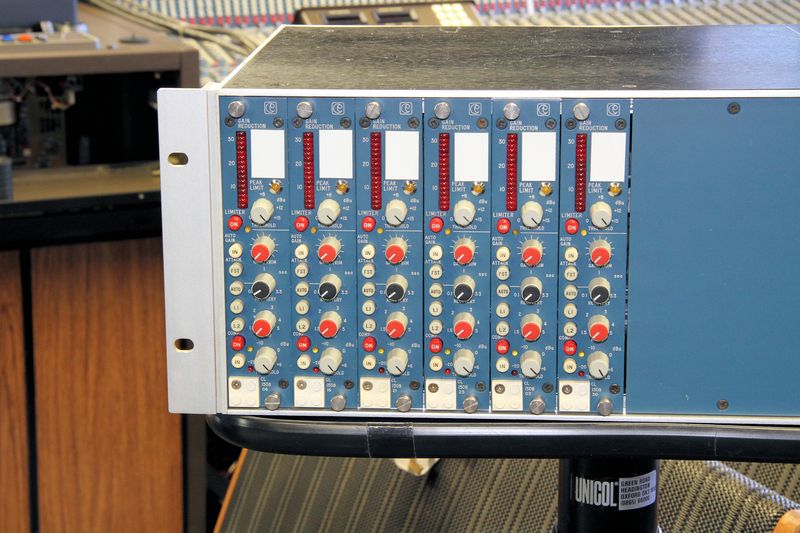 Highly desirable 6 x 1980's Calrec CL1508 compressors in a powered rack, Lundahl transformer balance outputs with XLR connectors on the inputs & Outputs. Separate Threshold controls & On/Off switches for the compressors & limiters. Led meter showing the Gain reduction. Output gain Automatic or adjustable, switchable attack auto or fast, recovery auto or variable 01 to 3.3 seconds. Variable compression ratio, 1.5 - 5. All serviced by Chris Roberts.